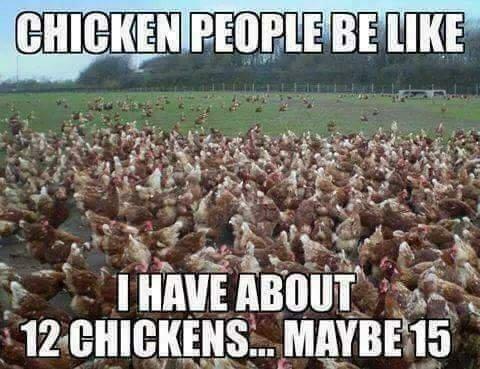 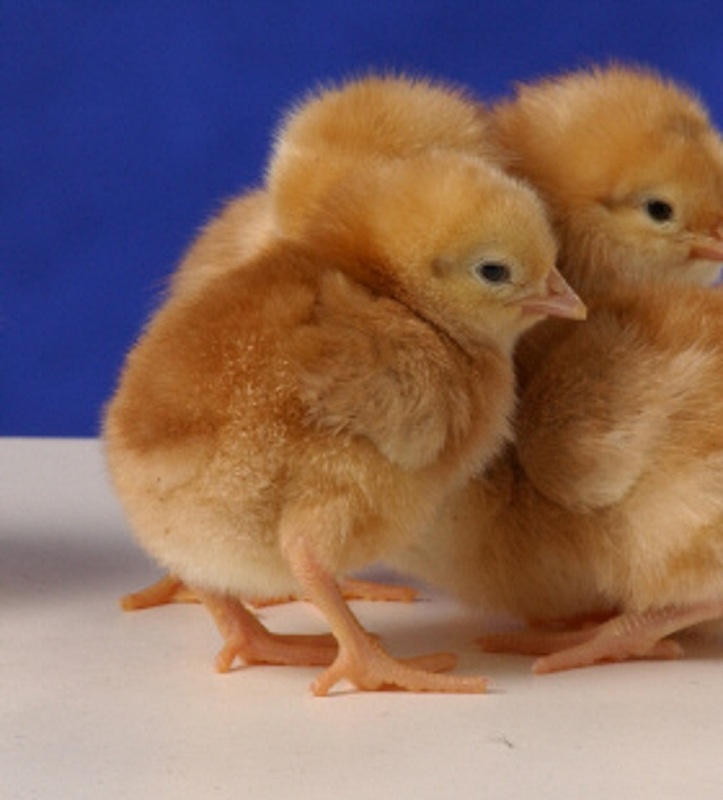 The Golden Comet chickens are one of two modern day production brown egg laying strains from hybrid breeding that Cackle Hatchery® produce. 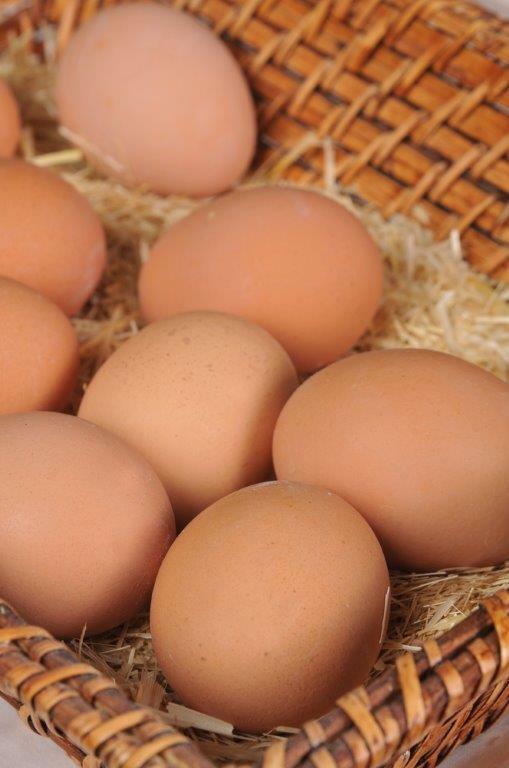 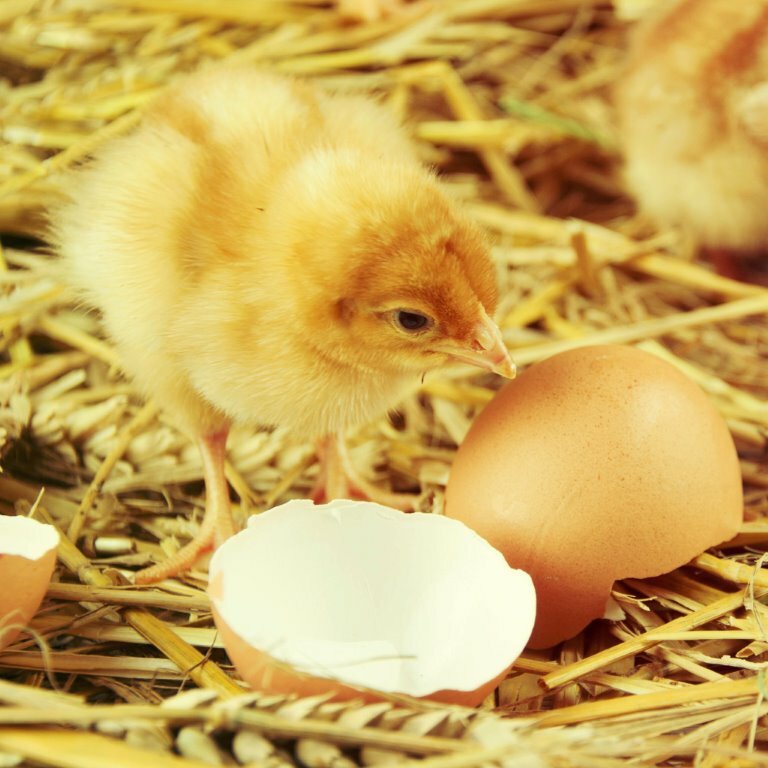 They are known for their fast body development, fast egg production and rich brown egg shell color. 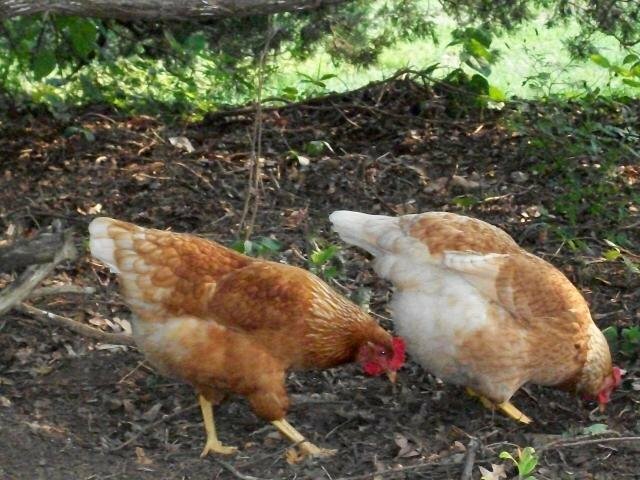 The parent stock is made from a proprietary Cackle Hatchery® bloodline/strain of the Cherry Egger male and the Rhode Island White female. 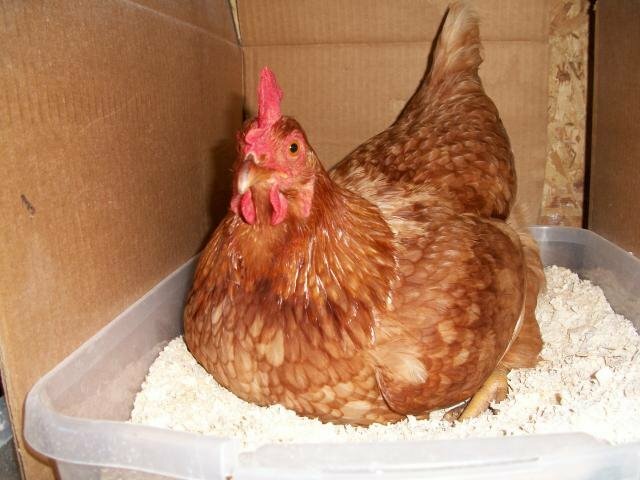 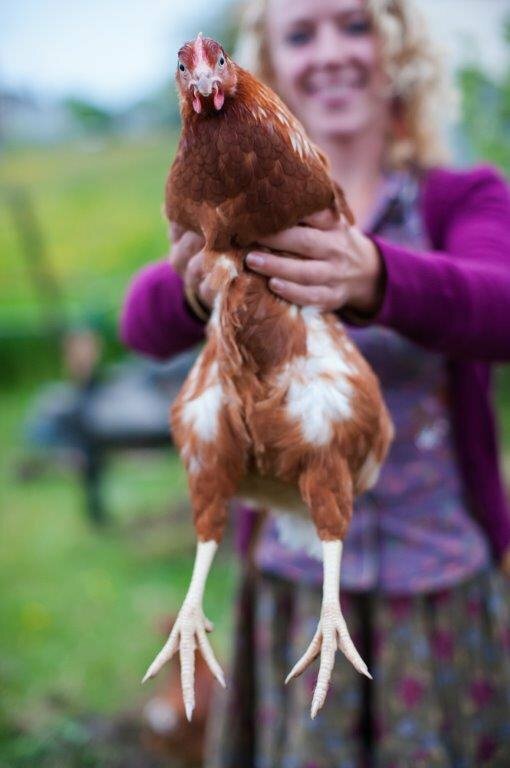 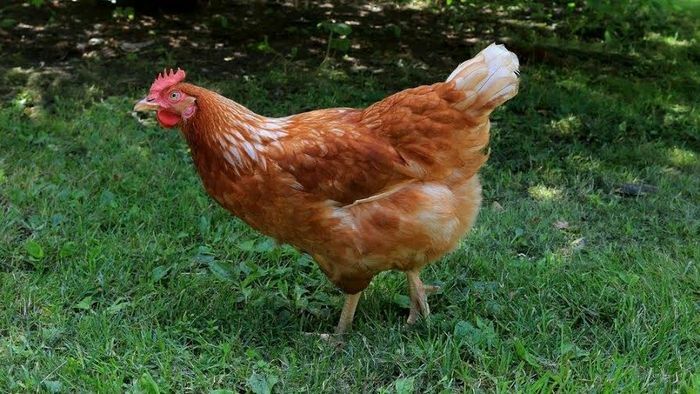 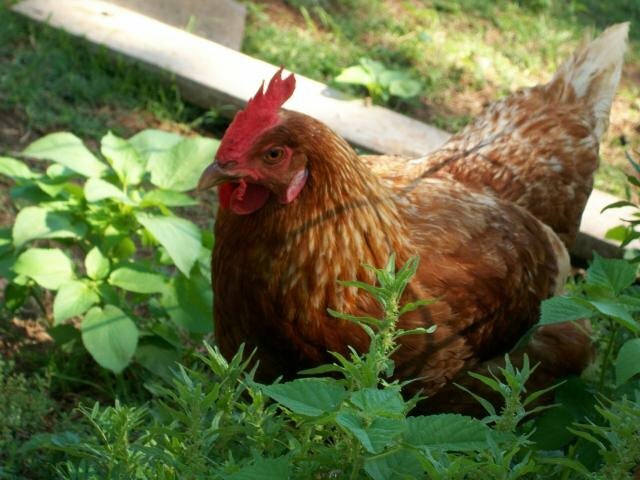 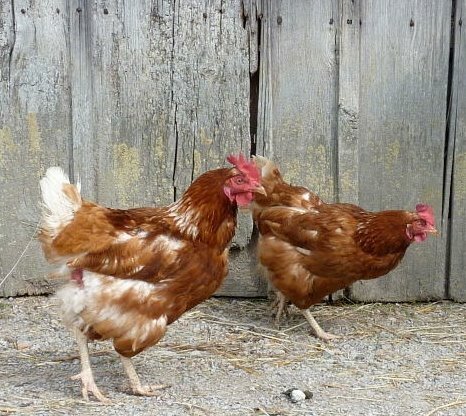 This strain will start to lay eggs at a younger age than most standard breeds and produce large to extra large brown eggs. 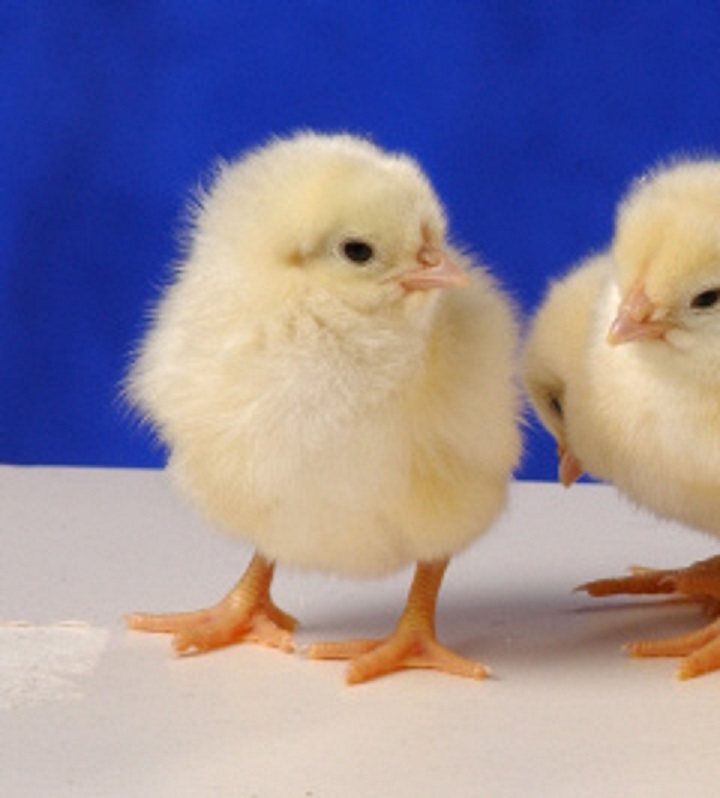 They are also color sexable as chicks for the first generation which are the chicks you receive. 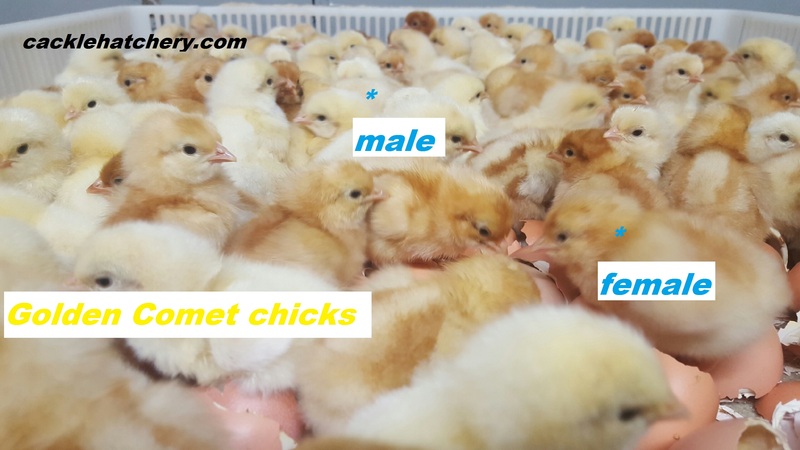 Chicks from the second generation will not be color sexable and will come in multiple colors. 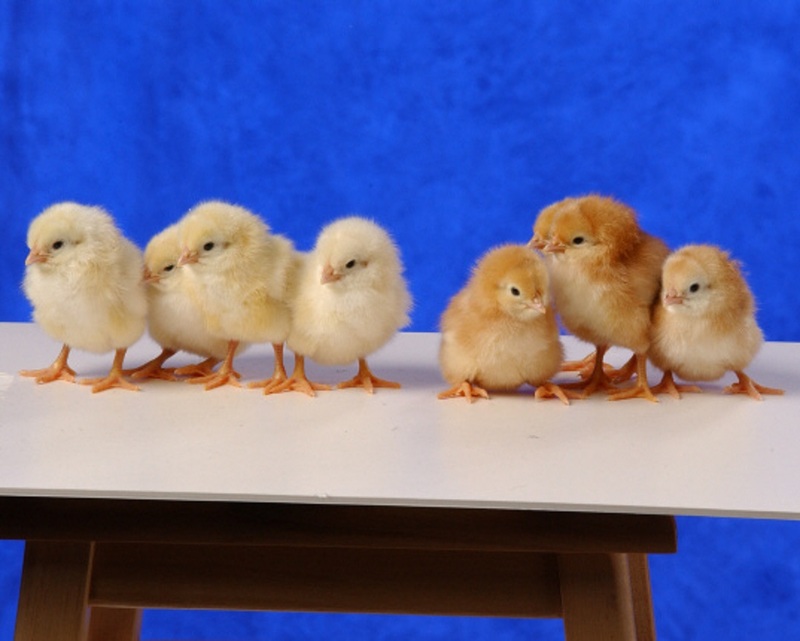 As chicks the cockerels are white and the pullets are more brownish red in color. 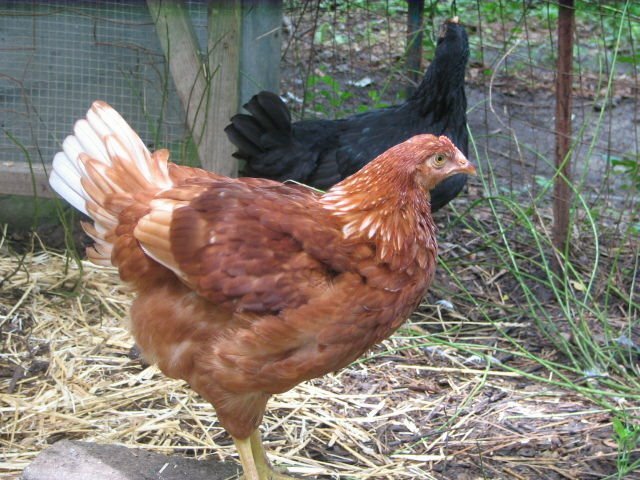 Leg color is mostly yellow but will get some greenish. 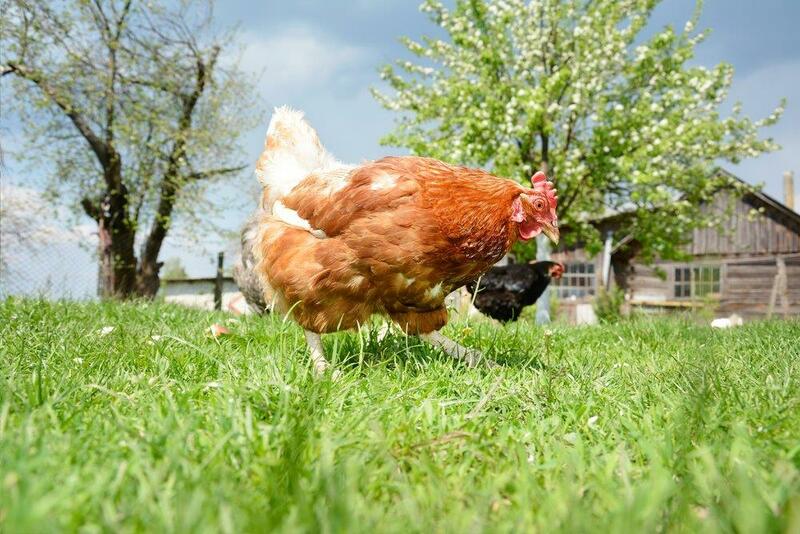 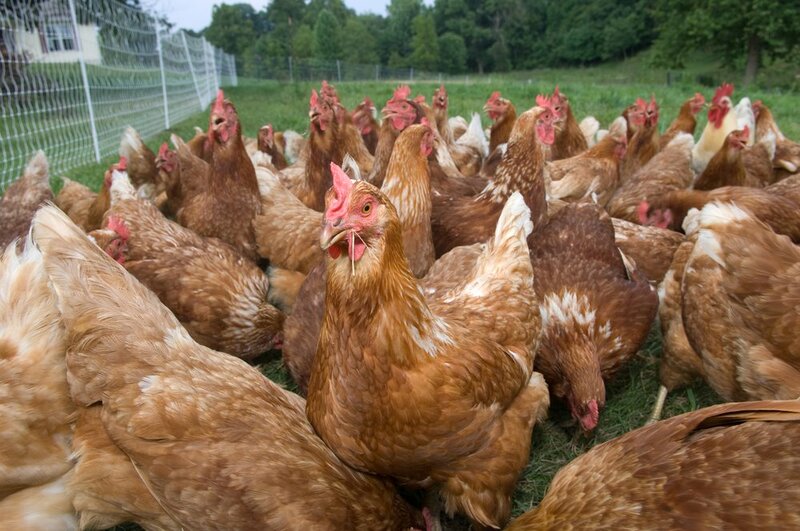 Hens feathering color varies with brownish feathers and white feathers. 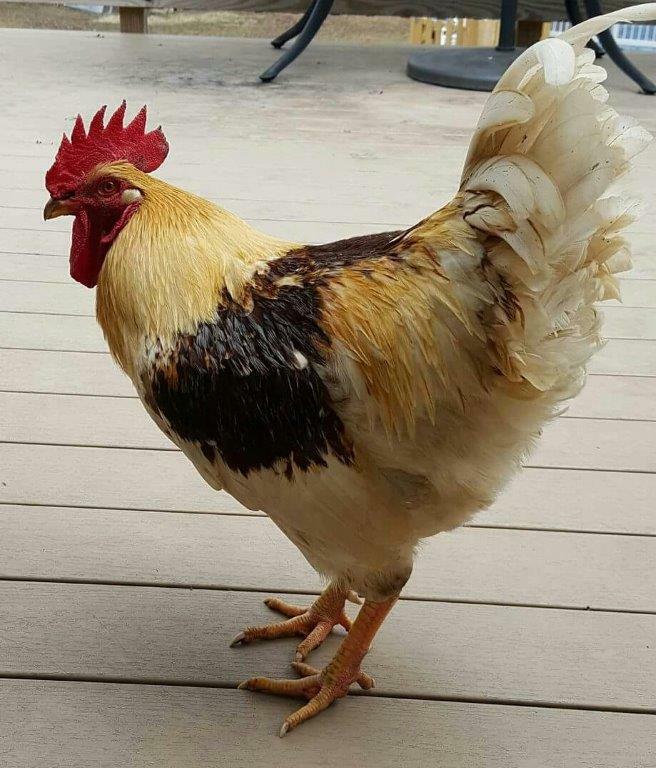 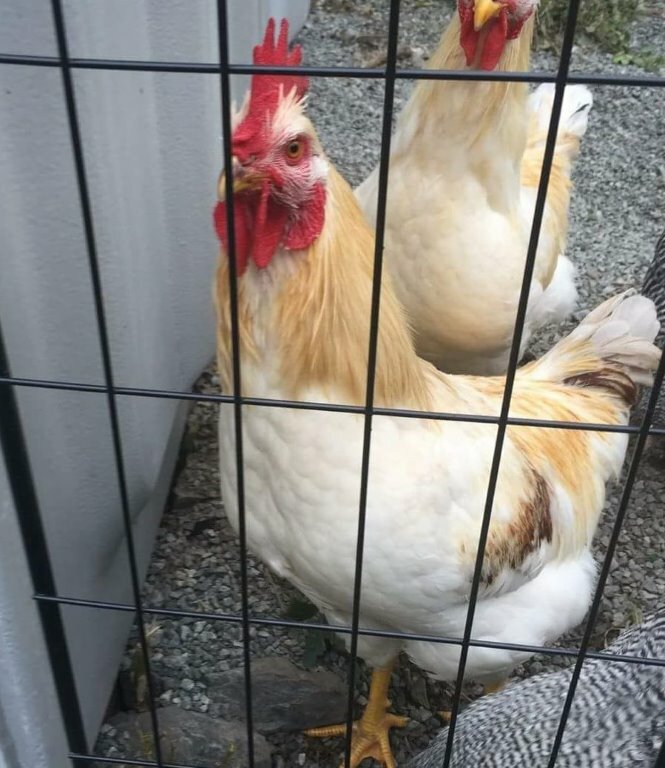 Adult rooster feathering color varies from totally white to white with light to dark red feathers on shoulder feathers. 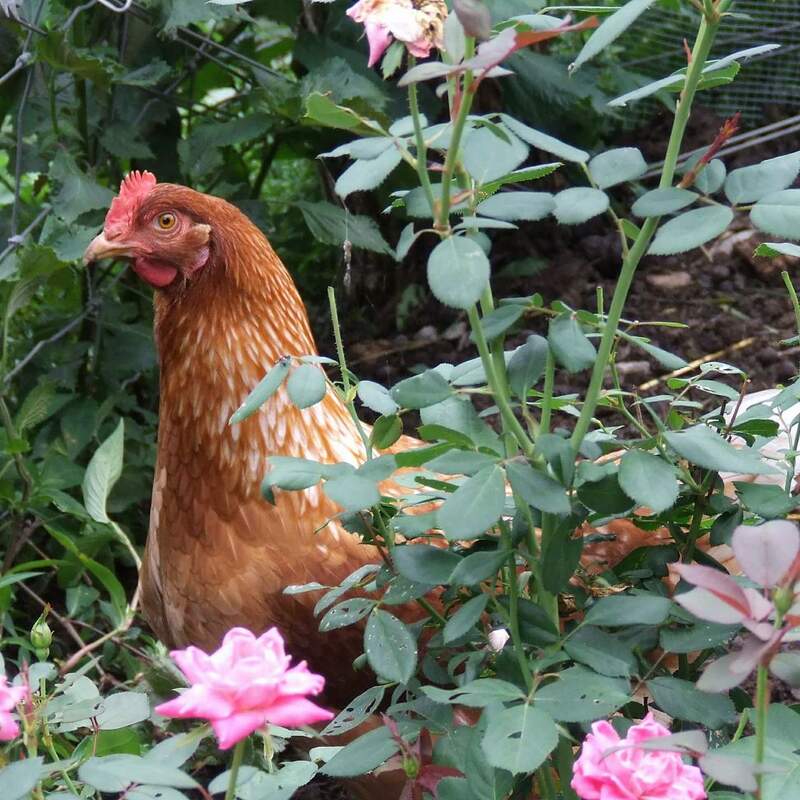 complete satisfied Review by david carthage ms.